… the Pentagon has quietly built a multibillion-dollar cyberwarfare capability and trained its commanders to integrate these weapons into their battlefield plans. U.S. Cyber Command was officially stood up in 2010, based at Fort Meade in the Maryland suburbs of the nation’s capital, consolidating intelligence and cyberwarfare capabilities of the Army, Air Force, Navy and Marines under one house. Soon, billions of dollars were being invested in the concept that cyberattackers targeting America should be prepared to sustain their own damage. Little has been discussed in public about U.S. Cyber Command’s specific capabilities since, though budget documents detail a growing commitment to this form of warfare. The Pentagon’s cyberwarfare budget has grown from $3.9 billion in 2013 to $4.7 billion in 2014 and an estimated $5.1 billion in 2015. For an additional layer of internet security from many forms of spying and hacking, see information about our SSL certificates . With the release of the Web Index Rankings, that measure economic, social and political benefits from countries across the world on December 11, there are some interesting results. The United Kingdom, as well as the Scandinavian countries continue to lead the index, and Canada ranks sixteenth. The World Wide Web Foundation began to produce this index in 2012. The Foundation utilizes a wide variety of data that measure the web’s contribution to the world in the areas of social, political and economic progress. In this new index, some chilling statistics have come back to the Foundation. Up thirty two percent from last years numbers, political censorship has increased to forty percent. This included the blocking of political or socially sensitive content. In the news lately has been the issue of net neutrality both here in Canada and the United States, and there is a lack of net neutrality in seventy four percent of countries. It should be noted that according to the Sunlight Foundation, only one percent of the US public is opposed to net neutrality, and this is after a plea from late night show host John Oliver on Last Week Tonight. Even with an estimated 1.8 billion internet users still with little to no right for privacy nor freedom of expression, the governmental control of the web continues to this day. What are we talking about in this creative original blog post? How about a freshly deployed “blank content” completely-isolated-new-private-virtual-internet-environment; just like a starter internet on a different planet. In other words, imagine being on an internet where you and your friends are the only inhabitants of Mars but you are all connected through a common (and private) internet on the surface of that distant planet. In this new age of omnipresent internet surveillance/spying/intrusions/ddos attacks, etc and creeping and shadowy “Orwellian” state takeovers, we here at 4GoodHosting thought thinking-up a new service offering, as private and secure as possible, could be a big value-add overall for our customers. The Fox IT CryptoPHP white paper is quite technical but we will summarize the issue for you here. 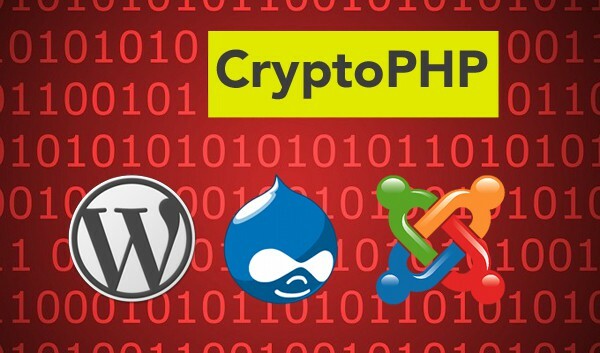 It is about something termed ‘Nulled Scripts’ and given another label too, CryptoPHP. This is perhaps a new term to most of our customers. So what exactly are these so-called Nulled Scripts? Nulled scripts are scraps of PHP code, which can be found on free or otherwise non-approved WordPress plugin sites or even in WordPress theme archives; which have had their copy-protection removed. Various *pro* plugins and themes come with a serial number, or key, which enables paid features or provides access to download free upgrades. Nulled scripts have such protections removed (so that it is become ‘free’). There are many websites that are offering these nulled-scripts and also nulled WordPress plugins and theme installers. The programmers who published the white paper have witnessed a drastic increase in the availability of nulled/corrupted scripts. In this day and age being paid using Bitcoins can be a confusing and perplexing and even a daunting experience. Yet current buzz is that the Bank of Canada is considering the advantages of using so called encrypted-currencies, notably Bitcoin. 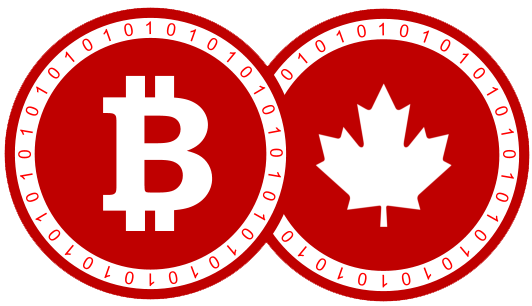 Canadian companies may be able to benefit in various ways by accepting bitcoin and then in turn exchanging those for Canadian dollars. What should business owners be thinking about cryptocurrencies today and into the next year? Would it ever be advantageous to pay your employees or refund your customers with bitcoins? You might want to check out the Bitcoin Alliance of Canada which explores these type of topics. The answer is, unless your customers already believe and and feel comfortable with bitcoin, then otherwise results won’t be so good or ‘worth it’. However there are some companies that are beginning to trade with bitcoins. For example, the electronics store NewEgg began accepting bitcoins from Canadian customers in June 2014. It even offered bitcoin-only deals for Black Friday. Also, Overstock.com started accepting bitcoin about a year ago and they now process about $15,000 per day in the encrypted currency. Canadian examples are: BitDeals.ca, Best Sleep Centre, and hundreds of smaller business ranging from restaurants, coffee shops, dentists, butchers, auto supply stores, and beauty spas and others. You can view a more extensive listing of them here. There are some good reasons to offer bitcoin payment. A customer may feel good buying a product (or service) that is shipped and to make the payment without having to be send private payment information, that they may fear will eventually get leaked somewhere. Even though Canadian credit cards use chip & PIN authentication, they are still inherently vulnerable for cardholder-not-present-transactions such as those conducted online. The Canadian Bankers Association reported an 11% increase in online credit and debit card fraud in 2013. The well known Home Depot credit card breach has affected many Canadians, who subsequently experienced a big wave of credit card fraud.